Another X-Men film, and another one that looks like it won’t live up to my childhood dreams. For some odd reason, even in the world we live in now with dark and gritty DC films, and the perfectly crafted Marvel comic book adaption’s, we have Fox, who still seem to think they are making comic book films for a late 90’s and early 00’s audience. Sure they’ve tried to step up their game with the reboot First Class films, but still they haven’t been able to pull it together. What makes this 3rd instalment even harder to pull off is that it’s dealing with most probably the number one X-Men villain of all time, though Magneto is ‘technically’ number 1. 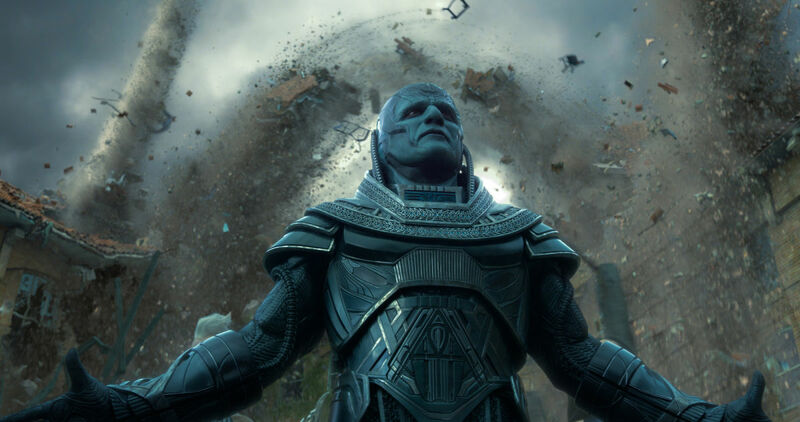 Apocalypse has had his history rewritten a few times, but he originally was the first mutant to grace the earth’s surface, and in many ways was the most powerful that has ever lived. Because of this he has been the main antagonist for the X-Men with a few of their major world and universe shaking events to date, and getting that into one film was going to be tough. Did they pull it off? No. Did they have some awesome scenes and nerd tingly moments? Yes. But all up this was another Fox film that shows they should just give up and hand over the creative reigns to the Marvel team who have been knocking balls out of the park for over a decade now with their comic book adaption’s of their own material. Will I keep seeing Fox X-Men films? Yes. Do I think Deadpool was fricken awesome and easily the best comic book movie they’ve ever made? Yes. Though one awesome Deadpool film does not make up for over 10 lacklustre X-Men and Fantastic Four films.